Now you no longer need to hold onto a depleted car. You can Sell Your Mitsubishi Cars For Cash in Brisbane in easy to follow steps. We buy cars for cash and offer a chance to clean up your backyard or a garage without any hassles. So, talk to us when you are ready to let go of your car, and we will help you in getting rid of it. With Sell My Car In Brisbane, it is very easy to Sell My Mitsubishi Car Brisbane or any other car that you no longer want. With research and customer feedback we have designed a process that is easy, time-saving, and customer friendly. Below, we outline the major steps involved helping you make the decision to sell old cars for cash to us. Get in touch – When you are ready to let go of your car, pick up that phone and get in touch with us. To begin the process, provide us the basic vehicle information like the make of the car, the year of manufacturing, the model of the car and a brief description on its usage and current condition. Once we get the details, we will offer you quote as per the current market rate. When you accept our quote, we move to the next step. The deal – The last step involves car removal. We decide the date and the time as per your preference and arrange for car removal. On the same day we make the payment in cash or account transfer as per your choice. So, you will get rid of your car and make fast cash for cars on the same day. We are the most preferred Mitsubishi Car Buyer Brisbane . The reason being we pay the fair price and also do not reject a vehicle no matter the state your vehicle is in. We deal with Mitsubishi models such as in Mitsubishi Eclipse, Mitsubishi Lancer, Mitsubishi Pajero, Mitsubishi Outlander or any other model such as Challenger, Magna, Galant, Starwagon, Verada or any other models from the Mitsubishi brand on a daily basis. Wreckery have the bandwidth to purchase and treat the vehicles that we buy that is beneficial to the seller, to us and to the environment. Cash For Mitsubishi Cars Brisbane is an ideal solution when you want to get rid of the car that you no longer use. We are a very popular Cash For Cars Brisbane. The reason is that our process is simple, and we pay top cash for junk cars. We know cars as no one else does in the industry and therefore we are open to buying all vehicles. We buy American, Japanese, as well as European car make, with equal ease. Also, we deal in cars that are not perfect. 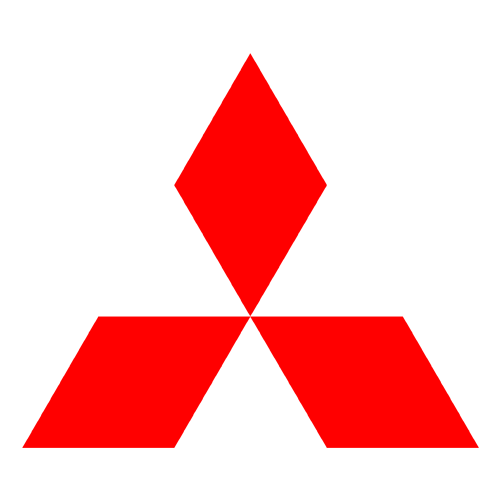 Mitsubishi Motors Corporation on wiki. We purchase and pay cash for damaged cars, cash for accidental cars, cash for junk cars with same honesty that we pay for cash for unwanted cars, and cash for used cars. Also, we are not particular about the car models that we deal with. As long as your car ownership is legal, we buy them. Regular vehicle models we deal in include UTEs, Campervans, bus, trucks, hatchbacks and so on. If you are looking for dependable Mitsubishi Car Wreckers Brisbane , your search ends here. We are professional Car Wreckers Brisbane, which deals with unwanted vehicle day in and day out. Apart from being the best payer, we are also well-known for our eco-friendly manner of treating the vehicles. No vehicle that we purchase ends up in landfills just like that. We carefully evaluate the condition of the car and then decide on the manner in which we want to deal with it. Our disposal method primarily consists of reuse, resell, and recycle. Therefore, you can be assured that your car will receive the treatment it deserves irrespective of the condition it is in. One of the benefits we offer our customer while Mitsubishi Car Removals Brisbane is that we do not charge for car removal. Whatever car you own and in whichever condition it is in; we will not charge anything for removing the vehicle from your premises. So, save your money and choose us for any Car Removals Brisbane services.